which was never looked for by the old maker whose name is so constantly taken in vain—it has been taken up by writers who do not understand the why and wherefore of its application, and is vaguely used in such a manner as to convey the impression that it really refers to a special species of wood. Whether that wood was planted, grown, or discovered by our long-suffering cabinet maker is not divulged. In order to show that I am not attempting to indulge in cheap humour, I may mention an actual case of such misunderstanding which recently came within my experience. A lady of no ordinary culture was puzzled, on reading in one of the penny weekly magazines that a certain article of furniture, of which a sketch was given, should be "made in 'Chippendale/" She came to me to ask if I could tell her what wood " Chippendale 9 9 was ! I need hardly explain, I think, that Chippendale was among the first in this country to employ, for the manufacture of furniture, Spanish mahogany of the finest figure and colour procurable. In the course of time the wood has, by a natural process, deepened in colour and attained a beautiful richness of tone, and to describe it in all its maturity the term " Chippendale mahogany" is generally used in the trade, though " Heppelwhite mahogany" or " Sheraton mahogany99 would be quite as accurate. 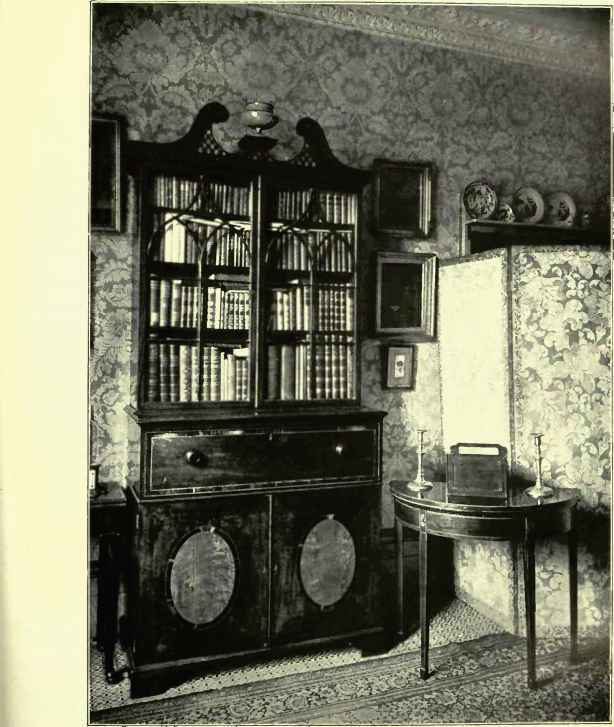 Owing to the great demand which has arisen for articles made in mahogany of this character, artificial means are employed nowadays to produce a colour and richness as near the original as possible, and, as a means of identification, the term has passed from the workshop to the trade catalogue, from the trade catalogue to its retail companion, thence to the salesman, and so on to the general public. Why it should be termed " Chippendale mahogany" particularly is hard to explain, for exactly the same wood was used by scores of other eighteenth-century cabinet makers, and has undergone precisely the same natural process of deepening.